Born into poverty in Japanese-occupied Taiwan, Ruey Yu overcame near-starvation during World War II and rose to become a successful biochemist and co-founder of the multi-million dollar skin care company NeoStrata. The uOttawa alumnus now tells his incredible personal story in a new memoir, Journey of a Thousand Miles: The Extraordinary Life and Discoveries of Dr. Ruey J. Yu. After living through the Second World War and the post-war military dictatorship of General Chiang Kai-Shek, Dr. Yu was awarded a coveted postgraduate scholarship to study chemistry at the University of Ottawa. He subsequently took up a research position at the renowned Skin and Cancer Hospital in Philadelphia, where he collaborated with pre-eminent dermatologist Dr. Eugene Van Scott to develop treatments for serious skin diseases, including cancer. 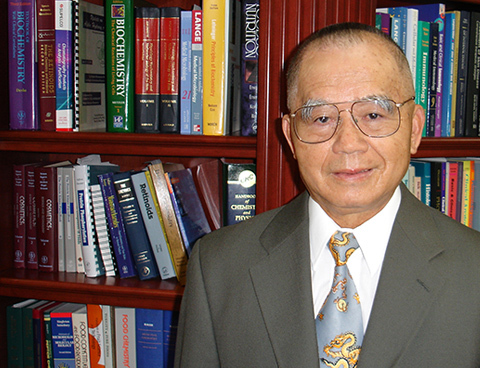 In 1972, Dr. Yu and Dr. Van Scott discovered that fruit acids, known as AHAs, could effectively treat the disfiguring skin disease ichthyosis, changing the lives of thousands of people who suffered from its debilitating effects. Their further research into the biochemical properties of AHAs led to the discovery of the anti-wrinkle and anti-aging effects of these natural substances — leading to licensing by skin care companies around the world and sparking the multi-billion dollar cosmeceutical industry. Now in his 80s, Dr. Yu continues to work in the lab every day, where he is currently conducting research into the biochemical basis of Alzheimer’s disease. In 2016, he and Dr. Van Scott sold NeoStrata to Johnson & Johnson, which is expanding the company’s research labs into a centre of excellence for dermatological research. To mark such an impressive career, the University of Ottawa is also conferring an honorary doctorate on him for his decades of dedication to research. The University has organized a ceremony and book launch at the Manor House at Commonwealth in Horsham, Pennsylvania. Jacques Frémont, president and vice-chancellor of the University of Ottawa, and Steve Perry, dean of the Faculty of Science, are delighted to be honouring Dr. Yu in this way.